Abraham Lincoln - Bio, Wife, Children and Other Family Members, Was He Gay? Abraham Lincoln – Bio, Wife, Children and Other Family Members, Was He Gay? Abraham Lincoln was a one time president of the United States, the 16th President to be precise. 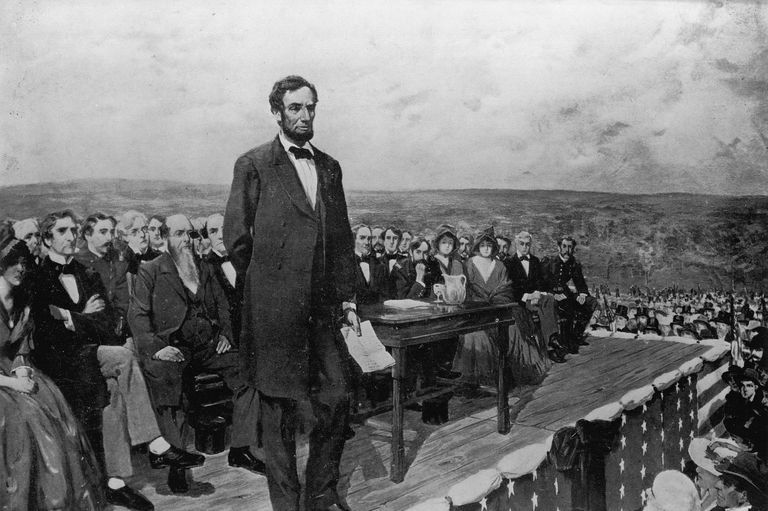 Being the President of the United States of America has always been quite a powerful position and Abraham Lincoln had a number of historic deeds that are forever tacked to his name and legacy. Here are some of the details of the late President of the United States. Abraham Lincoln was born on the 12th of February 1809 in Hardin County, Kentucky. In 1817, the Lincolns moved to Perry County, Indiana as a result of a land dispute. The family began squatting on public land where they lived in a crude shelter, farmed in a small plot and hunted game. After a while, the family had scraped enough money to buy the land. Abraham Lincoln was privileged to receive a formal education – attending school for a few days at a time. He fell in love with learning often walking miles to borrow a book. The family moved again in March 1830 to Macon County, Illinois and again later on to Coles County. Abraham Lincoln who was 22 years old at the time left the family to head out on his own and he began by making a living from manual labor – wielding an ax and splitting wood for fire as well as rail fencing. He soon migrated to New Salem, a small community in Illinois where he then worked as a shopkeeper and postmaster before he eventually became a general store owner. As a general store owner, Abraham Lincoln honed social and storytelling skills that would serve him greatly in the future. In 1832 when the Black Hawk War between the United States and the Native Americans broke out, the areas volunteers elected Abraham Lincoln to be their captain. He used the period to make a number of important political connections. Abraham Lincoln’s political career began in 1834 when he was elected to the Illinois state legislature. He taught himself law around this time by reading William Blackstone’s Commentaries on the Laws of England and was admitted to the bar in 1837. From 1847 to 1849, he served a single term in the U.S. House of Representatives. During that time he spoke up against the Mexican-American War while supporting Zachary Taylor for president when he contested in 1848. After hedging around politics and practicing law in 1860, political operatives in Illinois organized a campaign in support of Abraham Lincoln. With this support, Abraham Lincoln won the Republican National Convention in Chicago on May 18, 1960. His victory was put up in part to the fact that he had moderate views on slavery and supporting the improvement of the national infrastructure. In the general elections, Abraham Lincoln then won against his friend Stephan Douglas after he carried 180 of 303 Electoral votes. Abraham Lincoln’s parents were Thomas Lincoln and Nancy Hanks Lincoln. His father was a pioneer who worked his way to be moderately successful and was very well respected in the community he settled his family in. They had two other children and so Abraham Lincoln had an older sister named Sarah and a younger brother named Thomas who unfortunately died at infancy. His mother also died when Abraham Lincoln was only nine years old and she was only 34 years old. She died of tremetol (milk sickness) on October 5, 1818. His father remarried in December 1819 to Sarah Bush Johnston, a Kentucky widow who had three children of her own. On November 4, 1842, Abraham Lincoln got married to Mary Todd a well-educated woman who came from a distinguished Kentucky family. They got engaged in 1840 and theirs was a relationship that few people understood. Before they were married, their engagement was actually broken in 1841 and it was only after they met again at a social function that they repaired whatever had been broken and then got married in 1842. Together, the two had a total of four children but only one named Robert survived into adulthood. It would be hard to see Abraham Lincoln in the light of being gay. Even before getting married to Mary Todd he was involved in a number of other potential matches all of them with women. In 1837, for instance, he was romantically involved with a woman named Anne Rutledge and their relationship was said to be close to an engagement but unfortunately, a wave of typhoid fever swept over New Salem and Anne Rutledge died at 22 years old. He was also said to have courted a woman named Mary Owens who he had also considered marriage with before he finally called off their match.